If we take into consideration all those rumors we heard during times concerning Apple products to be released, then you know that there is a little bit of truth within it. When we hear something new in this respect, there is a high possibility for that respective thing to become a fact. Recently, other kind of rumor roams on the internet. Apparently, Apple is now testing an iOS-powered smart watch with curved display. So, two famous newspapers claimed that the iWatch is pretty real, and it is under tests at Foxxonn. Nevertheless, this is more than some rumors. If you ask around, these statements are really based on a true story. So, in order to translate these rumors, the Fruit Company is planning to release a revolutionary product, different from what we are used to, a product that will transform the wearable technology into something more reliable and effective. I know that we have dealt with these rumors somewhere in the past, but now, it seems that the Tim Cook’s company is working with Intel in order to design and to create the revolutionary iWatch, a device powered by the famous iOS. The future product is supposed to hold Bluetooth 4.0 and OLED display. In the same time, according to these rumors, the iWatch will work just fine in conjunction with the iPhone or any other iOS device. The future iWatch seems to be the right move is this case, because people were always concerned of wearing a small piece of technology wrapped to their arms. 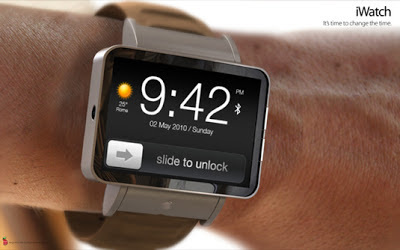 If in the past, Apple had gained the sympathy of the public by releasing the iPod nano, now, the iWatch will become exactly what users are waiting for. Who does not enjoy having an intelligent piece of Apple around his wrist? When things related to the Cupertino Company have excelled so much, I am sure that the new iWatch will accomplish users’ demands. Now, all we have to do is to wait to see if the iWatch will become a real thing and when this thing happens, if it happens, to find out more details regarding this topic. Since we all know how these Apple rumors work, we should be that surprised when the iWatch, the new iOS-powered smart device will be revealed by the Cupertino Company on their next official press conference. However, when we have so many rumors wandering on the internet, I am sure that there is at least a small possibility for this thing to become real. 0 Respones to "Apple Developing iOS-powered iWatch with Curved Glass"